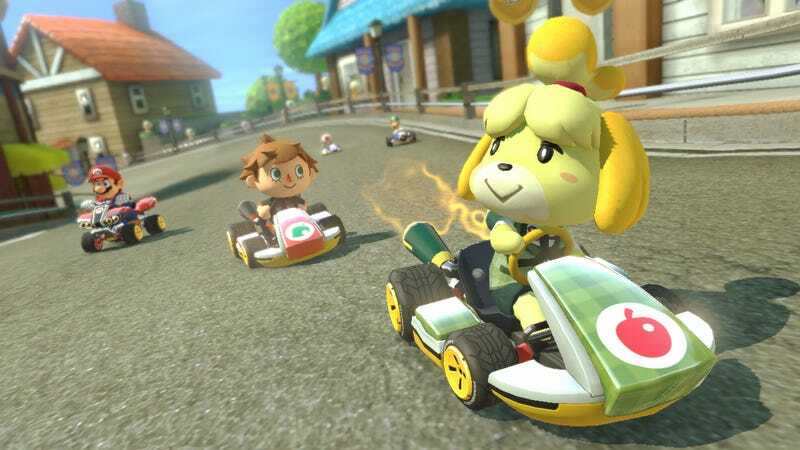 Ever since Mario Kart 8’s second DLC pack arrived last week, fans and players have been deliberating on just how game-changing the new high-speed 200CC difficulty mode truly is. Apparently, it changes things up enough to render “fire hopping,” the game’s most controversial exploit, effectively inert. Fire hopping was first discovered shortly after Mario Kart 8 came out last summer as a way to artificially extend a racer’s speed boosts. By flipping the joystick on the Wii U controller back and forth in a rapid, repetitive motion at just the right moment when coming off a boost, players could maintain their enhanced speed indefinitely. Since players found it, they’ve continued to debate about whether it counts as a legitimate technique in the Mario Kart 8 toolkit, or if its a cheap exploit that people should stay away from in the interests of maintaining fair play. Mario Kart 8’s second batch of DLC arrived with a software update for the game—the 4.0 patch that included the amped-up 200CC speed for all players, regardless of whether or not they bought the new premium stuff Nintendo released. Since all the new content dropped last week, serious Kart racers have been wondering what happened to fire hopping. If Nintendo didn’t patch fire hopping out specifically, then how did they effectively render it inert all of a sudden? Well, as I said last week, the new difficulty level speeds things up so much that it ends up changing the whole Mario Kart 8 meta game in some interesting ways. Whereas previously heavy-weight characters were considered the most valuable because their extra weight helped them achieve a higher top speed, for instance, in 200CC lighter characters and vehicles are suddenly considered more powerful because they tend have better handling and acceleration. Effective braking and power-sliding are more important than ever as well. Since fire hopping is a valuable technique to temporarily boost one’s overall speed, then, it doesn’t give players as crucial an advantage as it used to. Braking! In a Mario Kart game. God, I don’t even know what to believe in anymore. With the decline of fire hopping in the crazy 200CC mode that fans have taken to with a gusto, it’ll be interesting to see what new high-level techniques might appear to replace it.